The first ever beatification in Ireland, that of Father John Sullivan SJ (1861 – 1933), took place at on Saturday May 13th during the celebration of Mass in Saint Francis Xavier Church on Gardiner Street in Dublin. Beatification, which confers the title ‘Blessed’, means that a man or woman is considered to be truly holy and worthy of veneration by the faithful. The next stage after beatification is canonisation to sainthood and this takes place in recognition of this holiness by the universal Church. The principal celebrant and homilist at the Mass was Cardinal Angelo Amato, Prefect of the Congregation for the Causes of Saints, and he was assisted by the Primate of Ireland Archbishop Diarmuid Martin of Dublin. Concelebrants included the Primate of All Ireland Archbishop Eamon Martin of Armagh; Archbishop Kieran O’Reilly of Cashel & Emly; Bishop James Moriarty, Bishop Emeritus of Kildare & Leighlin; Father Leonard Moloney SJ, Provincial of the Jesuits in Ireland; and, Father John Dardis SJ, General Counsellor for Discernment and Apostolic Planning and many Jesuit priests. The Church of Ireland’s Archbishop Michael Jackson of Dublin, and Bishop John McDowell of Clogher, were present on the sanctuary. We, welcoming the desire of Our Brother Diarmuid Martin, Archbishop of Dublin, of many other Brothers in the Episcopate and of many of the Faithful, after having received the opinion of the Congregation for the Causes of Saints, by Our Apostolic Authority, permit that the Venerable Servant of God John Sullivan, professed priest of the Society of Jesus, educator of youth and herald of the Gospel, witness of the love of Christ towards the poor and the distressed, from now on be called Blessed and whose feast may be celebrated, in places and according to regulations established by law, every year on the 8th of May. In the name of the Father and of the Son and the Holy Saint. Amen. Given at Rome, at the See of Saint Peter on the third day of the month of May, on the feast of the Apostles Saints Philip and James, in the year of the Our Lord 2017 and the fifth of Out Pontificate. Father Dardis SJ, who is a former Provincial of the Jesuits in Ireland, spoke on behalf of Father Arturo Sosa SJ, leader of the Jesuits worldwide. Father Dardis referenced Father John’s Anglican background and paid tribute to the Church of Ireland today. A large portrait of Blessed John Sullivan was unveiled during the Mass and a relic of his hair was brought to the altar. After the ceremony there was time for prayer and reflection, during which the hundreds of people queued to receive a blessing from the Father John Sullivan cross. 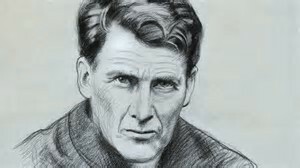 A Mass of Thanksgiving for the beatification of Blessed John Sullivan SJ will be celebrated in Clongowes Wood College SJ in Clane, Co Kildare, on Saturday 20 May next at 7.00pm. A Mass of Thanksgiving for the beatification of Fr John will take place in Clongowes Wood College on Saturday 20 May at 7.00pm.